Pediments have been popular for thousands of years. Originally used in Greece, they are a commonly used type of Classical architecture. Today they are commonly placed above doors and windows to give a home exterior a classic and distinctive look.Pediment basicsPediments are the portion of the trim that is located above the pilasters, which are the column like frames on the sides of windows and doors. Directly below the pediments though, between the pediment and the pilasters, is a crosshead or breastboard. The crosshead is the flatter, protruding section directly above the door. Pediments can be purchased by themselves or can come with a crosshead already attached. These Pediments are manufactured out of a high density urethane, which is made to resemble wood but without the deterioration like wood has. Urethane architectural supplies are resistant to damage such as cracking or rotting. They are usually cheaper than wood alternatives.Different styles for different homesWhen choosing window trim or door trim either during initial door or window installation or for a home improvement project, you should consider the style of your home or the style that you want to create for your home. Do you want simple, unadorned distinction, or intricately molded elegance? Pediments combined with other millwork around window casings and doors can compliment any home. The main shapes of pediments are rounded, triangular, and scrolled. Rounded or semi-circle pediments can be plain but often have a sunburst pattern as well. Scrolling pediments are popular due to the elegance of this pediment shape. Triangular pediments come in Victorian styles, simple triangular shapes, and often in triangular shapes broken in the center or peak of the triangle by a more rounded shape such as an acorn. Triangular shapes are also commonly used on gable pediments, which are used in the upper triangular portions of home exteriors for decoration. 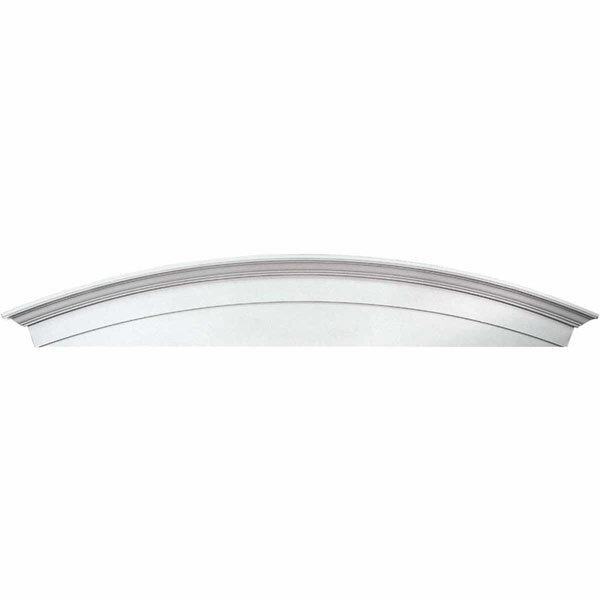 Gable pediments are available in all of the same styles as door and window pediments.